I don’t need T-shirts and I definitely don’t need more Marvel stuff. 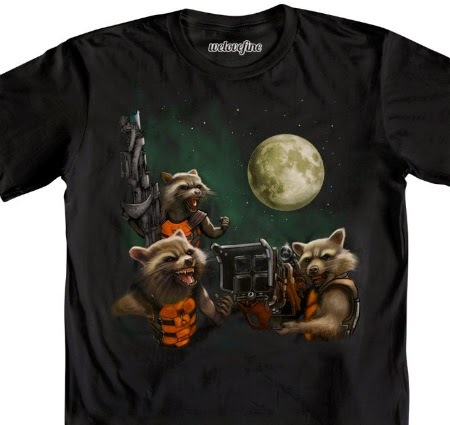 But how could I resist WeLoveFine’s amazing Rocket Raccoon-infused resurrection of the iconic “Three Wolf Moon” meme? Guardians of the Galaxy is still a couple of weeks out, but I have a strong feeling that Rocket is going to be one of the most iconic and quotable characters in the Marvel Cinematic Universe this side of Tony Stark. Prepare for Rocket Raccoon everything this year. You can snag the shirt here, and you can catch James Gunn’s Guardians of the Galaxy in theaters August 1.